Mickey Callaway would have liked to have seen Zack Wheeler rise up to the challenge of getting out of a sixth-inning mess in the Mets’ 8-2 loss to the Braves at SunTrust Park on Tuesday night. After allowing a leadoff homer to Freddie Freeman to tie the game at 2, Callaway thought Wheeler hadn’t lost his effectiveness. 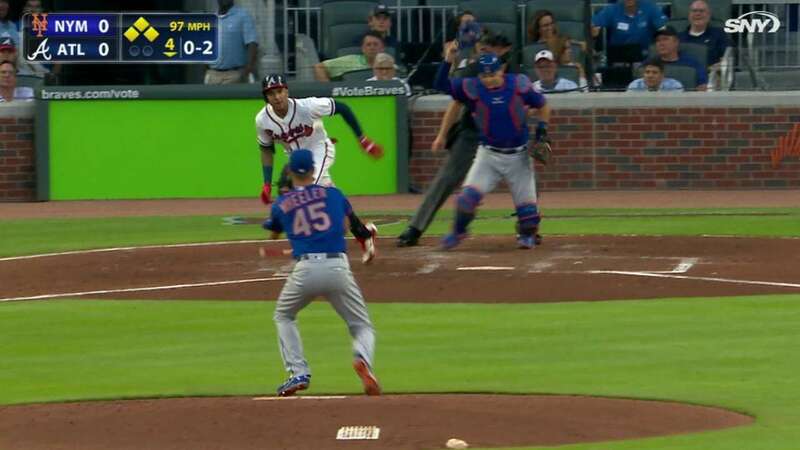 When Ender Inciarte blooped an RBI single into shallow left field to give the Braves a one-run lead, Callaway thought Wheeler could get out of the inning with minimal damage. And when the right-hander walked two consecutive Braves batters to load the bases with two outs in the inning, the manager had faith in his starter.